We accept same-day emergency appointments. Call us today at (443) 863-6394. Few things are more frustrating than unexpected emergencies. For example, a dental emergency such as a knocked-out tooth can destroy your plans and leave you asking the vital question, “How can I get emergency dental care near me?” Without quick access to emergency dental care, you might have to suffer for hours or even days, and the damage to your dental health could last even longer. 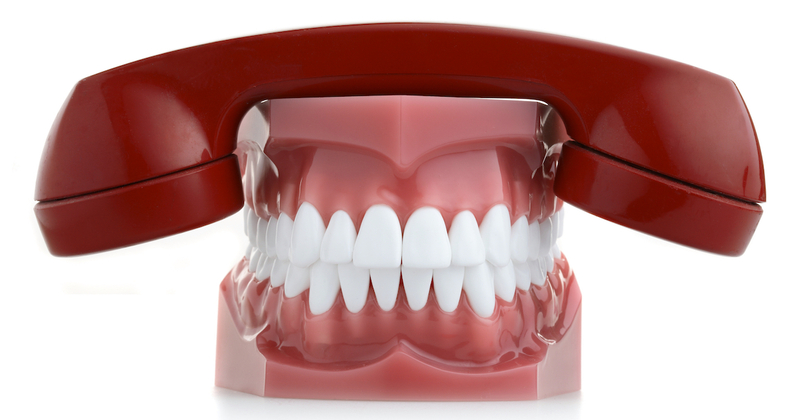 Fortunately, access to emergency dental care is just one call away. Our emergency dentists in The Village of Cross Keys treat both major and minor dental emergencies during regular operating hours. When you experience sudden symptoms or sustain a dental injury, call our emergency dental office to schedule your appointment. If possible, we’ll see you on the same day. Our goal is to determine what’s wrong, end your pain and make sure that the problem doesn’t come back after you leave. We welcome patients with dental emergencies that call our office in advance. The scope of emergency dental services covers any treatments or procedures that provide relief from sudden, painful symptoms or stabilize dental conditions that could worsen without prompt attention. I’m not certain that my pain is an emergency. When should I try to get emergency dental care near me? If you’re suffering and your pain or other symptoms affect your daily functioning, you need to address the problem promptly. In most cases, the following symptoms and conditions should receive immediate attention. Getting to the dentist quickly is important to prevent broken or fractured teeth from becoming infected or sustaining further damage. Emergency dentists strongly advise quick action if you experience a knocked-out tooth. If you handle it carefully and get to the office within an hour or so, there is a chance it can be reimplanted. Only touch a knocked-out tooth by its crown. Rinse it with warm water, and place it back inside its socket or tuck it into the side of your cheek. Call us immediately for more detailed instructions. A severe toothache can stop you in your tracks. Many conditions can lead to tooth pain, so it’s important to get a quick diagnosis. Be sure to report any other symptoms you have such as ear pain, fever, or feelings of pressure. Tooth sensitivity that develops suddenly or worsens rapidly suggests an underlying problem like an infection or tooth fracture. Obtain urgent dental care if you experience unusual sensitivity to temperature or pain when you bite down. Dental decay that leads to the formation of extensive cavities may lead to pain when tooth roots or pulp are exposed. Our emergency dentists can examine your teeth and provide relief from pain and sensitivity through the restoration of your decayed tooth. If you have intense tooth pain, facial or jaw swelling, fever, bad breath, or an open, draining sore, you may have an abscessed tooth. The condition can lead to serious complications if left untreated, so be sure to call our emergency dental office at once and describe your symptoms. If a filling unexpectedly falls out or starts to feel loose, call us to schedule treatment before your unprotected tooth suffers unnecessary damage. Until we can see you, try to keep food particles away from the affected tooth. A broken crown or lost restoration doesn’t just leave a gap in your grin. It also leaves gaps in the protection of your affected teeth. Our emergency dentists will create a temporary or permanent replacement to keep your teeth safe and your smile intact. The process of straightening your teeth with orthodontic appliances sometimes includes broken brackets or stray wires that can cause pain and injury. We can relieve your discomfort and adjust your braces so that you’re less likely to suffer from continued mouth irritation or injury. When you grind your teeth during sleep, damage to your tooth enamel is almost inevitable. If you notice a change in how your tooth enamel looks or feels, we can help by strengthening your enamel and providing a night guard to help manage your grinding habit. Sinus pressure without a cold or sinus infection could have dental origins. If you’re experiencing unusual and unexplained sinus pressure, our dentists can help you rule out or discover and treat dental causes. My symptoms could threaten my life or general health. Should I get medical care or contact an emergency dental office near me? Emergency dental care costs are different for each patient. Your total fees will depend on what types of treatments and procedures are required to resolve your pain and dental emergency. When you visit our emergency dentists, you have several options for payment and cost reduction. We accept most major dental plans and major credit cards. Financing is also available to help you manage your budget. If you don’t have dental insurance, consider becoming a member of the DentRite® discount plan. It isn’t insurance, but it helps you save 20 to 70 percent on many dental services; these include emergency services, preventative care, and even cosmetic dentistry. Everyone is accepted, and you can even include your family members. Contact us for more information. It’s midnight, and emergency dentists aren’t available. Should I wait until business hours resume to call an emergency dental office near me when I am in pain? Our emergency dentists in The Village of Cross Keys value your dental health and comfort. If you’re in severe pain or you’re experiencing symptoms that could point to a serious condition, don’t risk your dental health by waiting too long. Your local hospital emergency room or outpatient after-hours clinic can stabilize your condition and treat symptoms. If your symptoms start or recur during regular business hours, please call us.